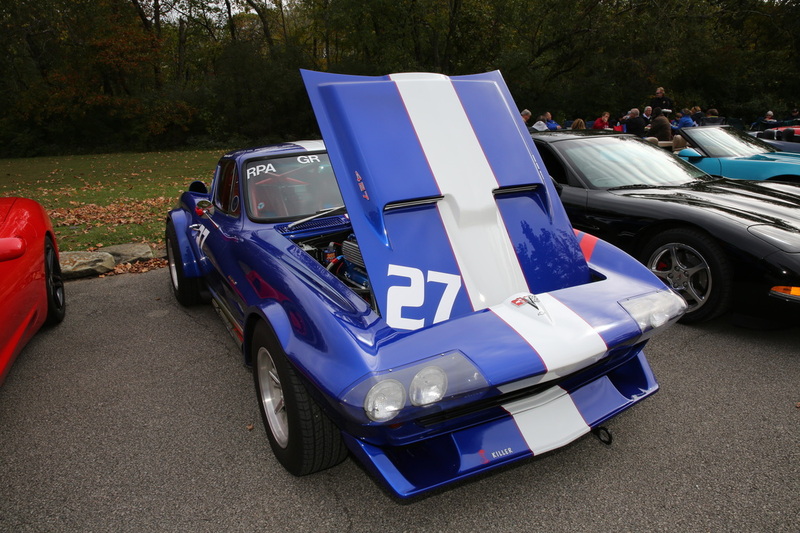 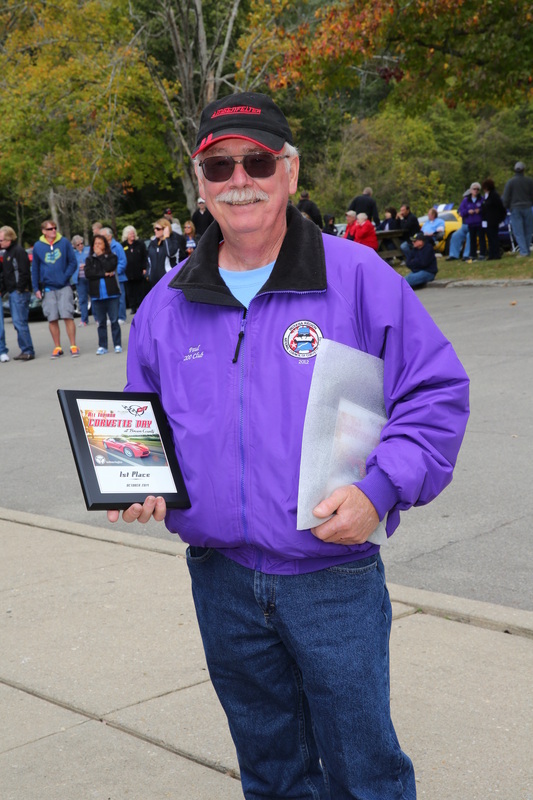 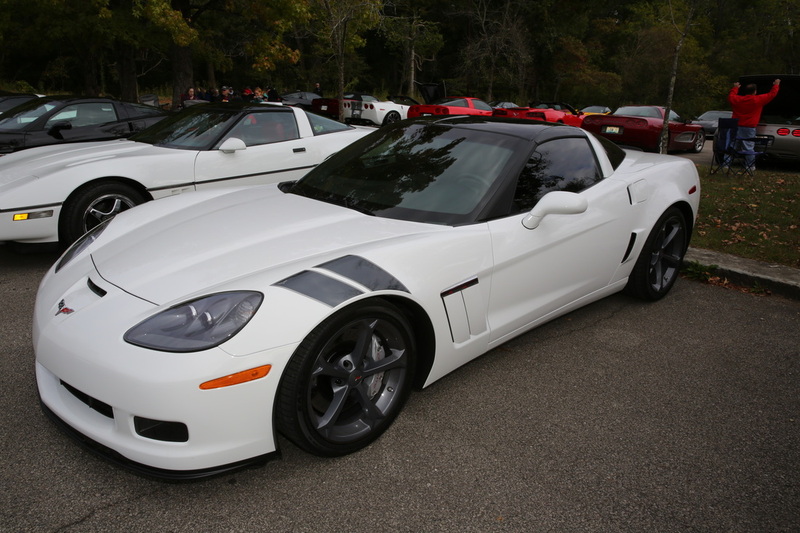 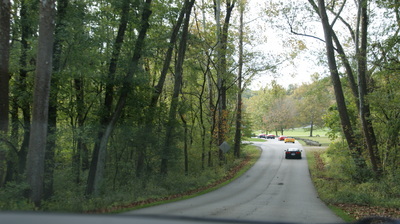 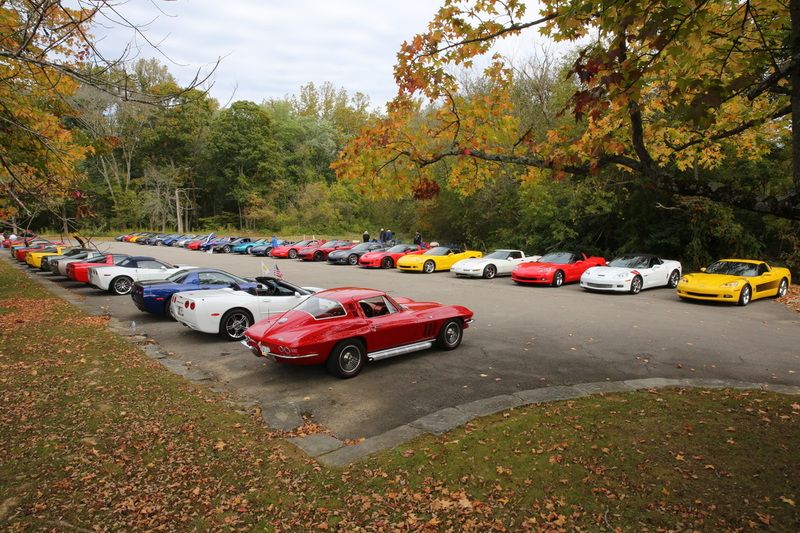 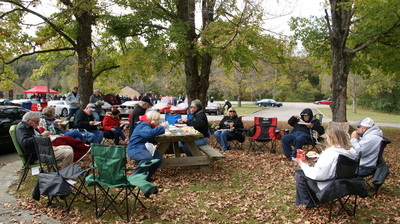 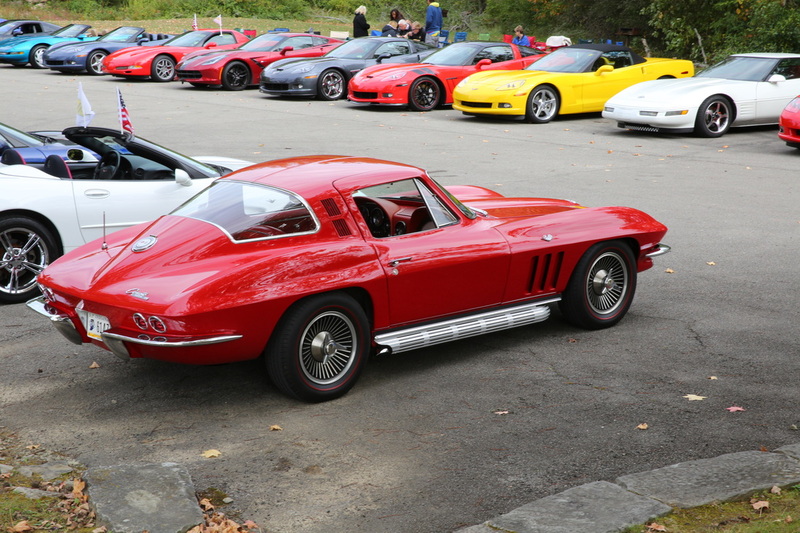 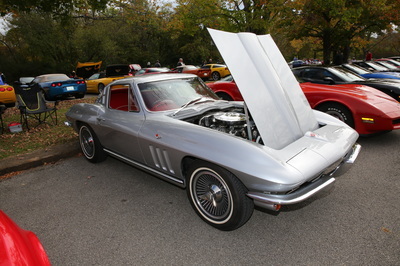 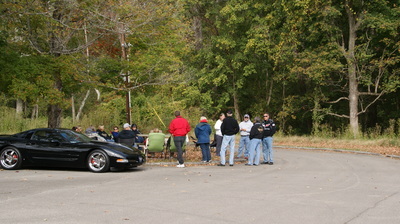 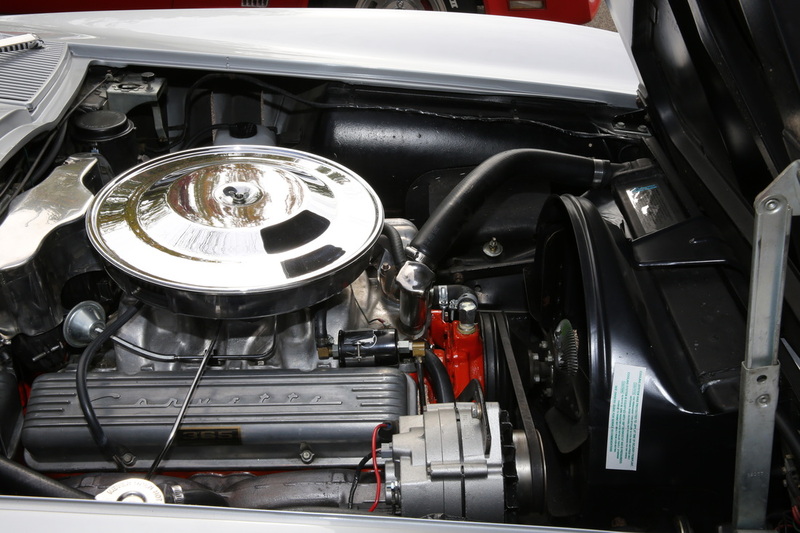 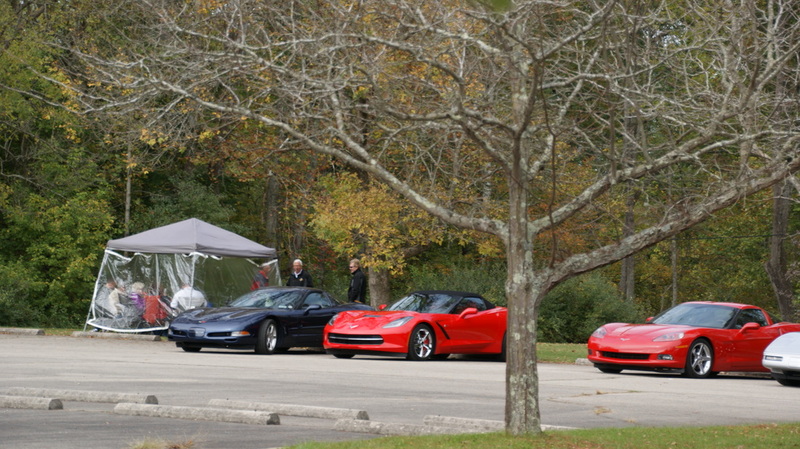 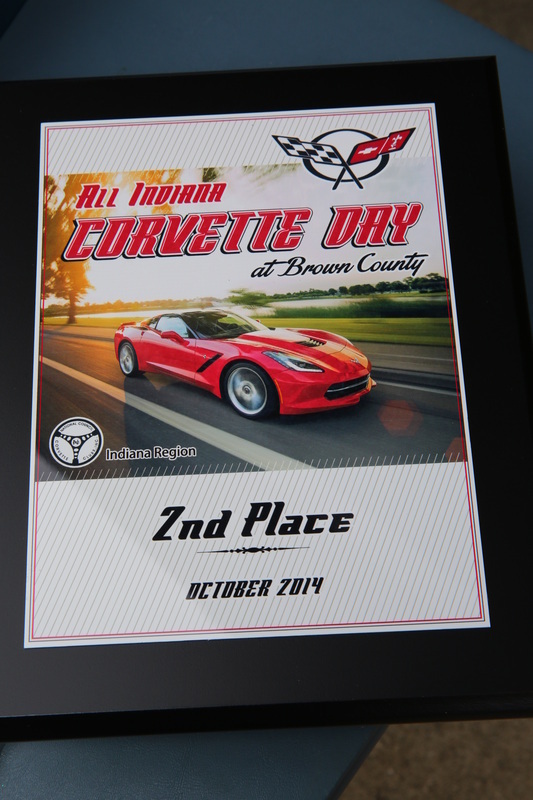 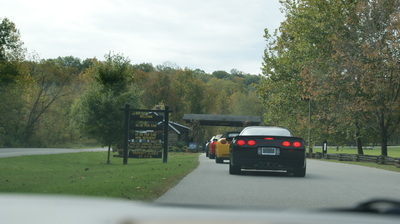 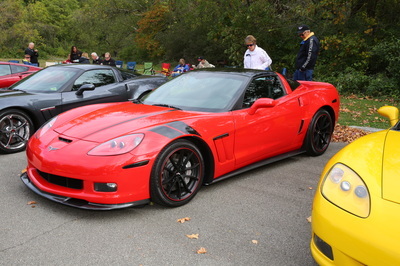 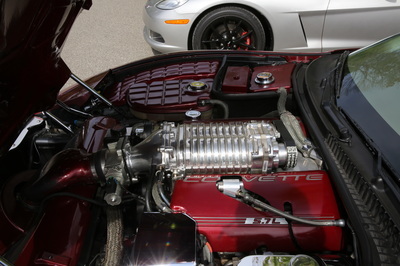 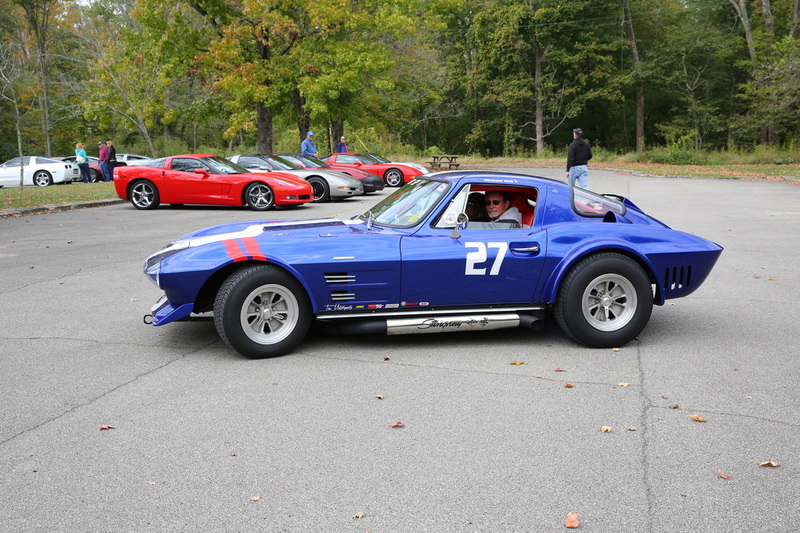 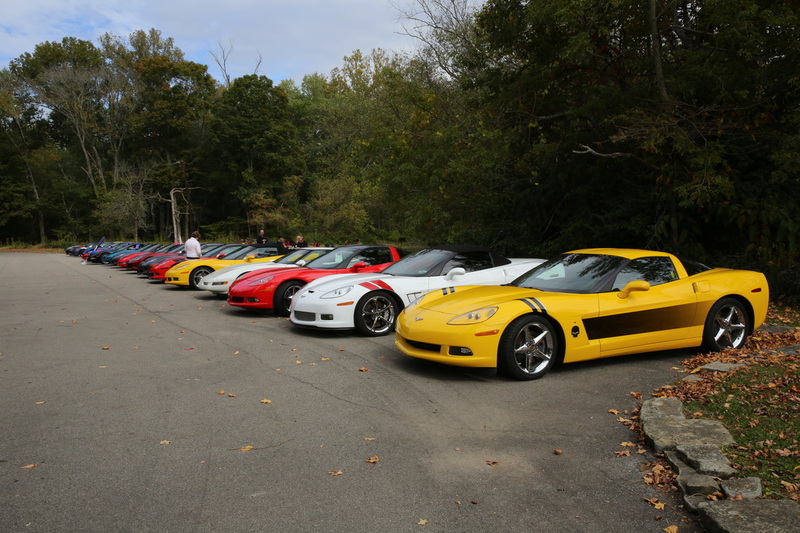 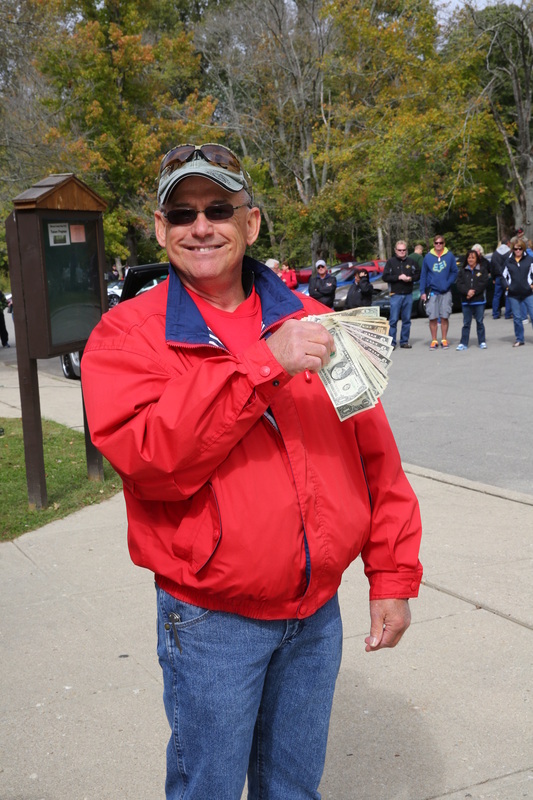 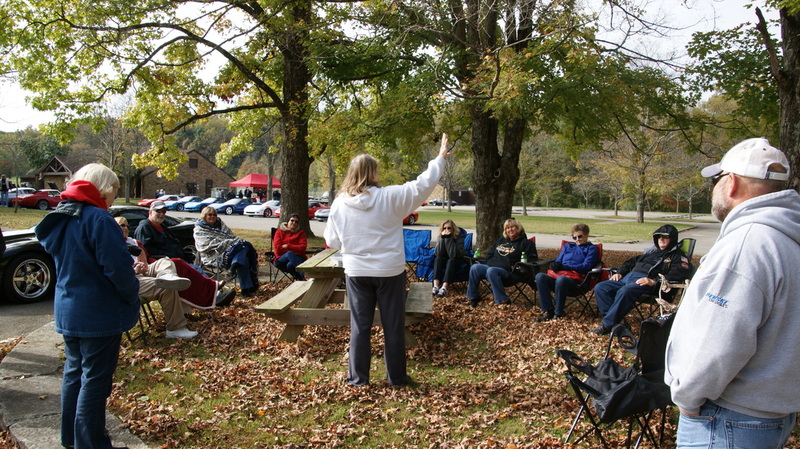 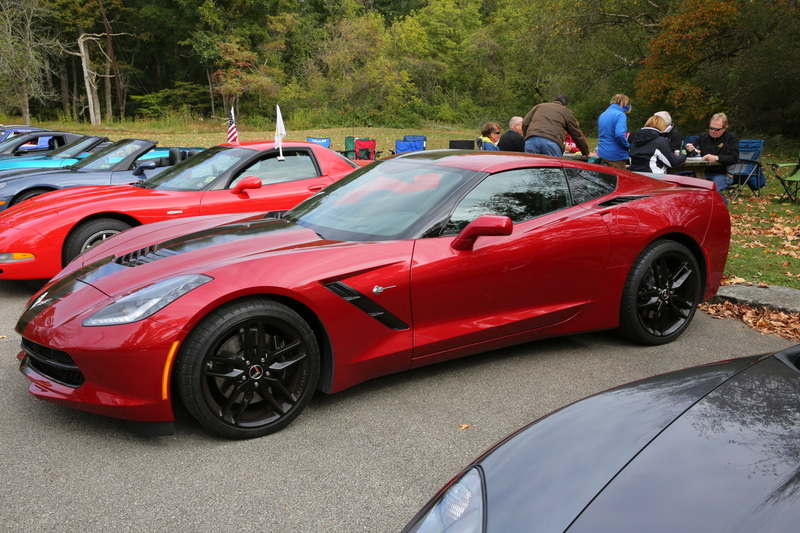 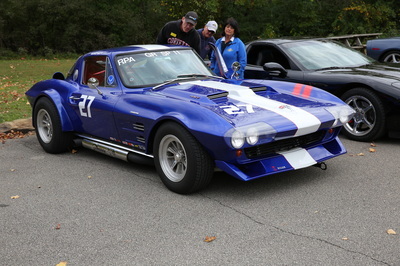 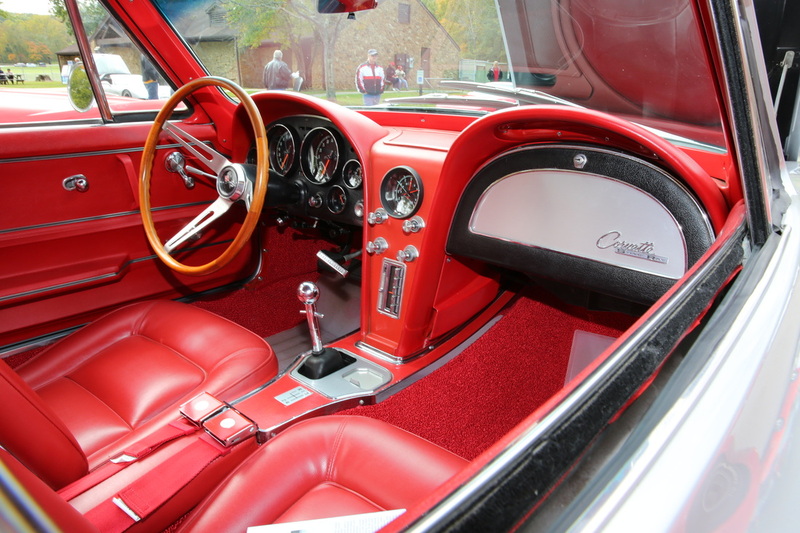 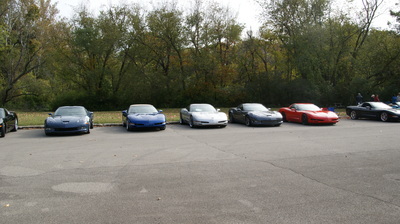 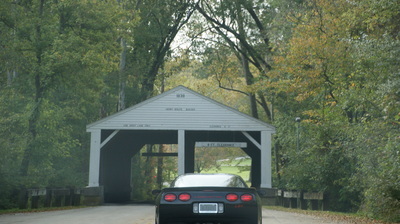 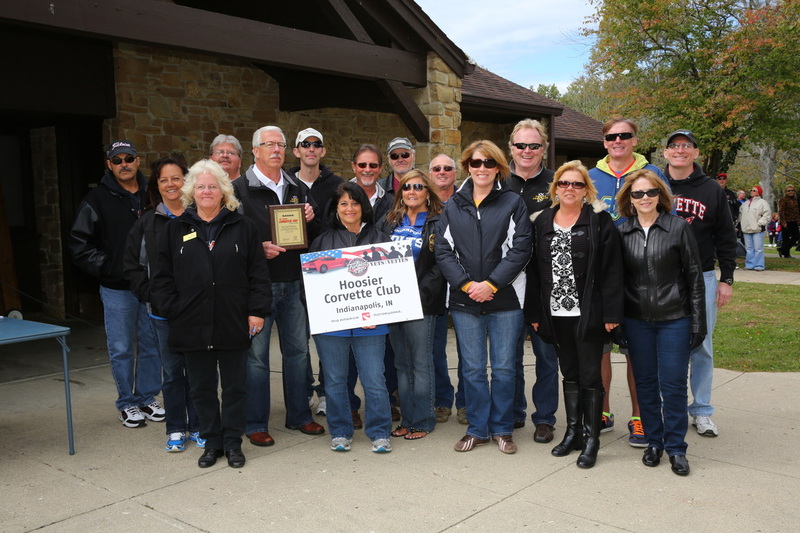 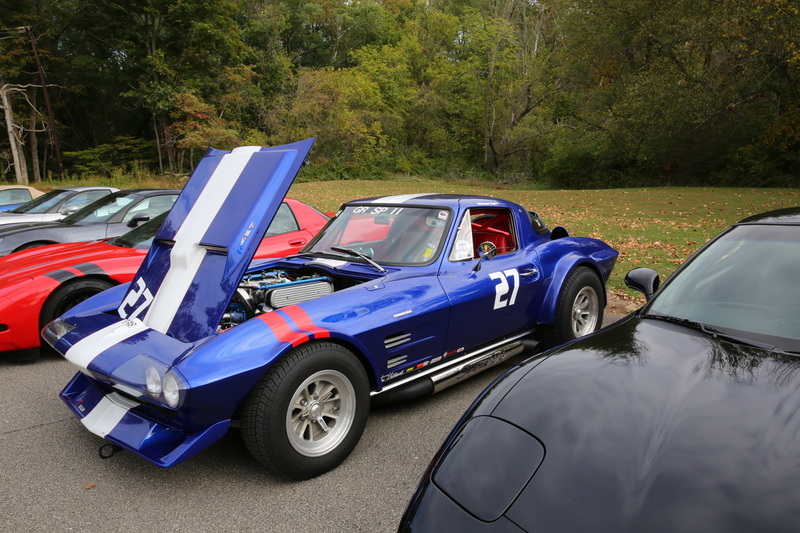 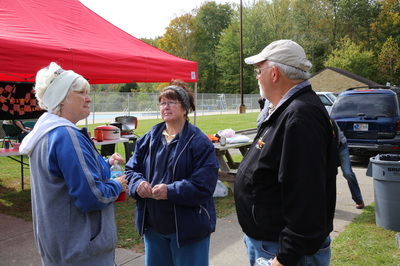 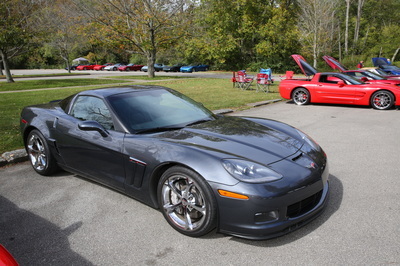 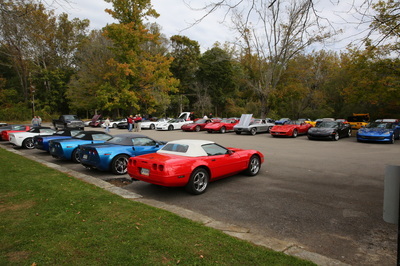 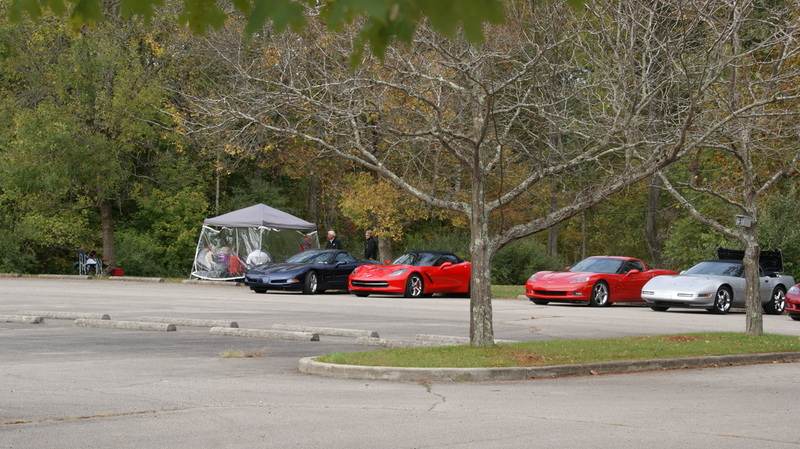 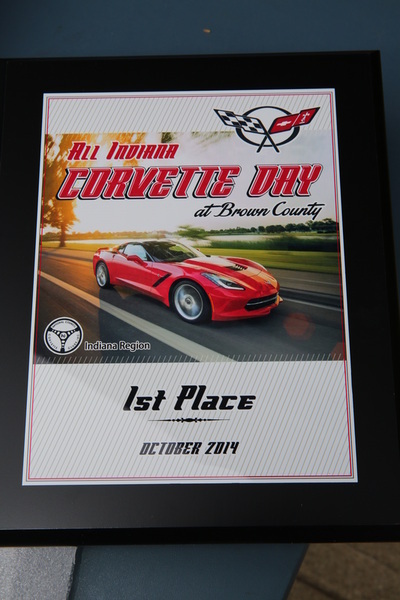 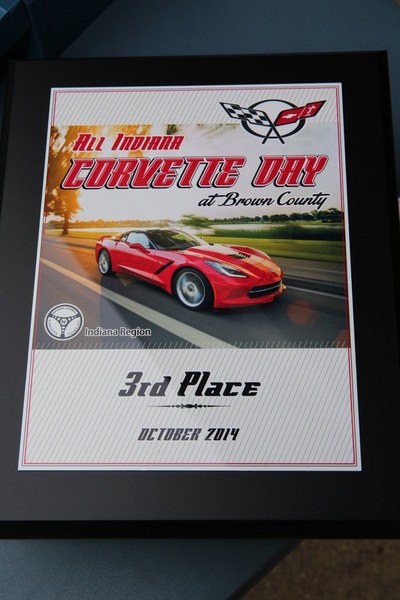 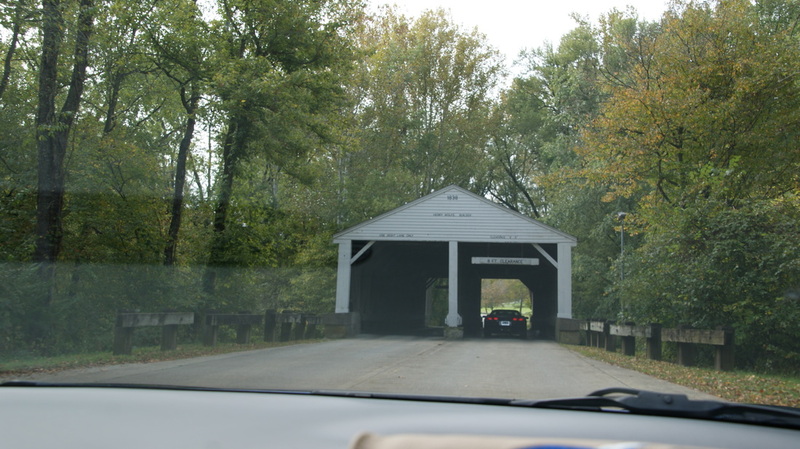 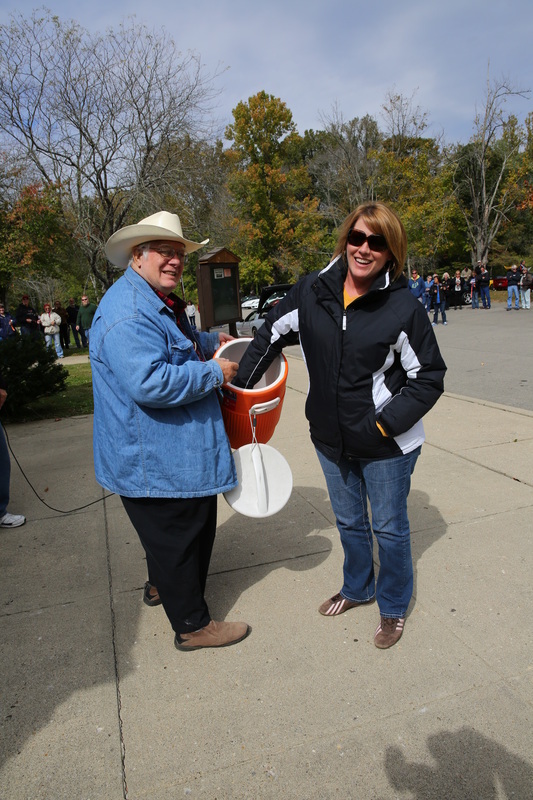 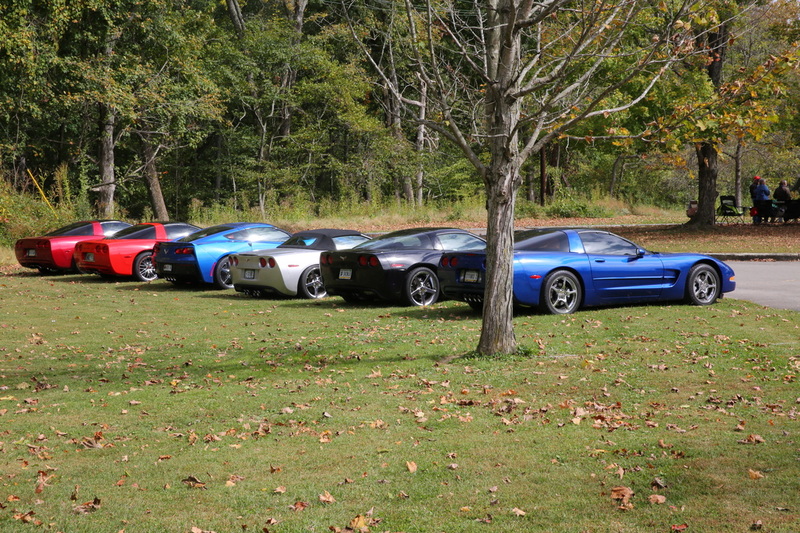 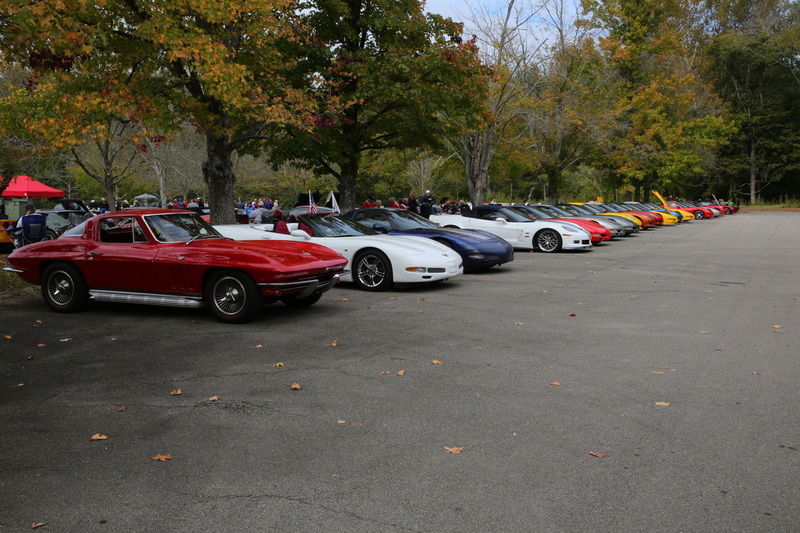 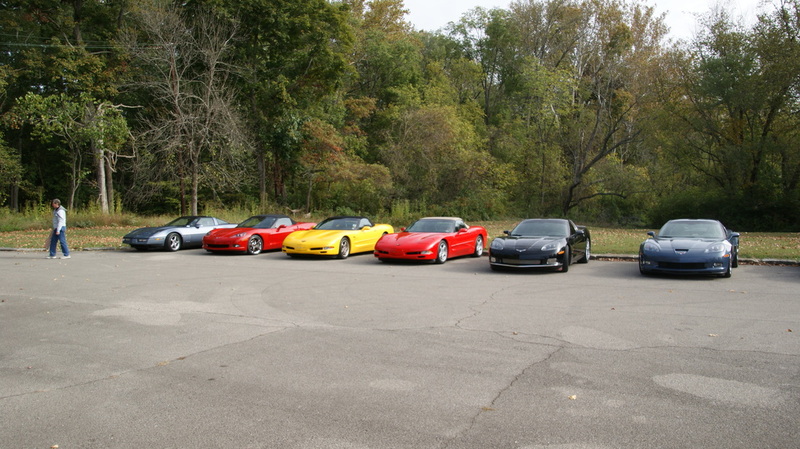 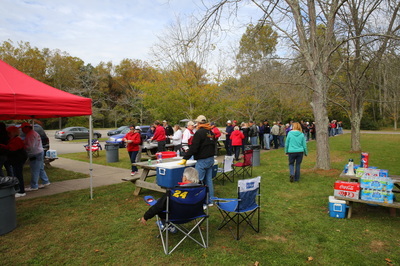 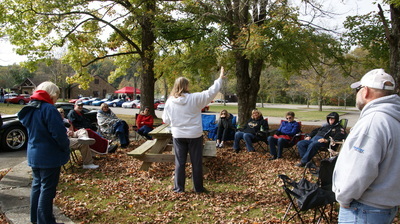 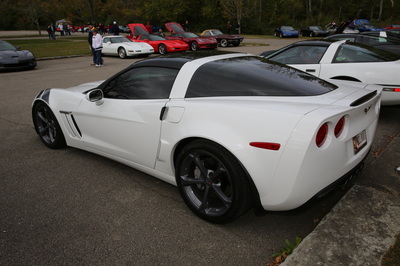 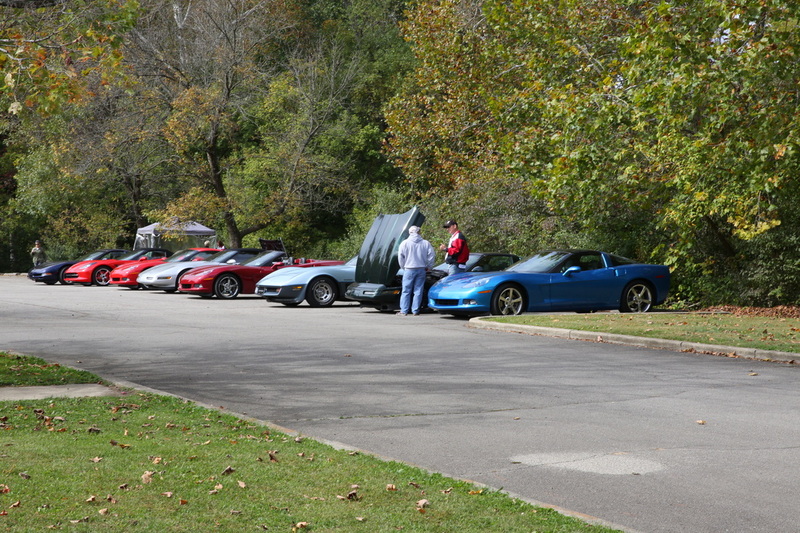 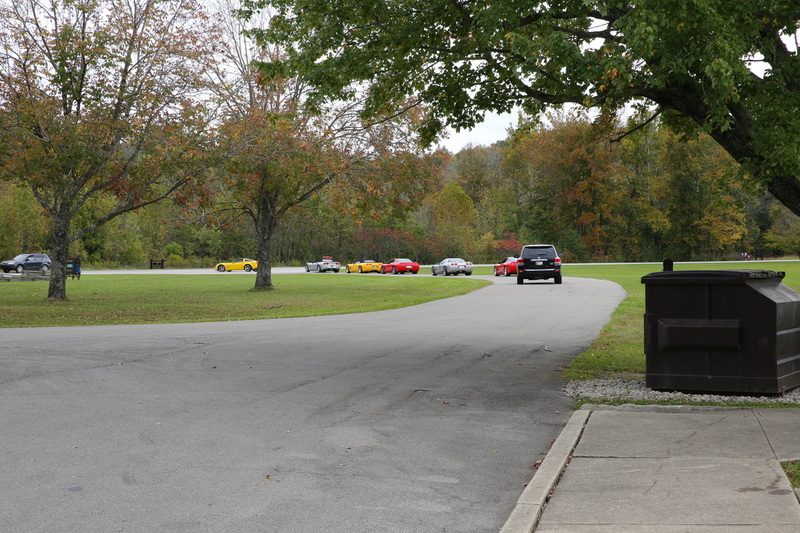 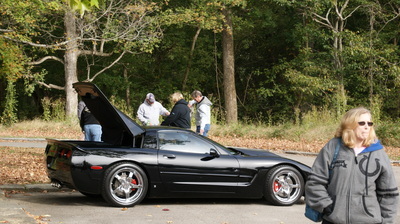 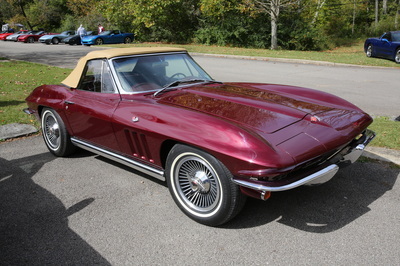 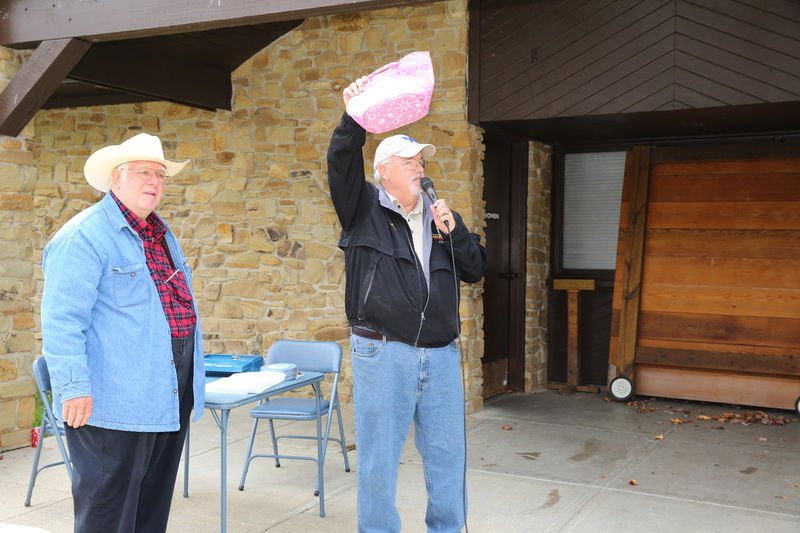 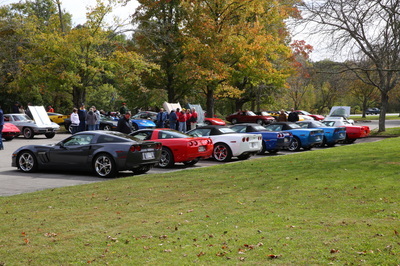 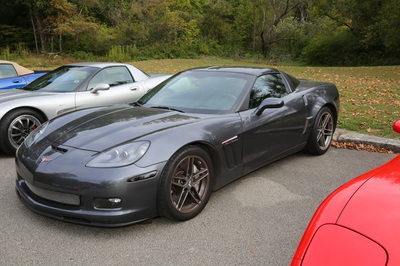 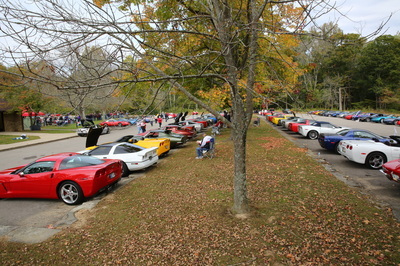 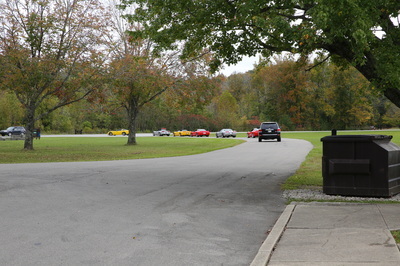 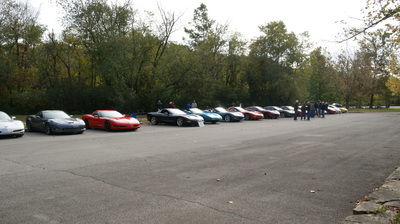 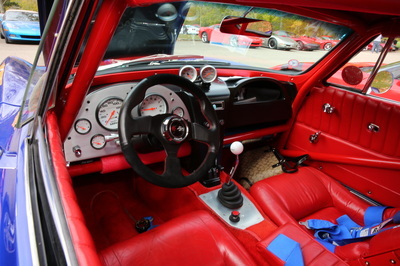 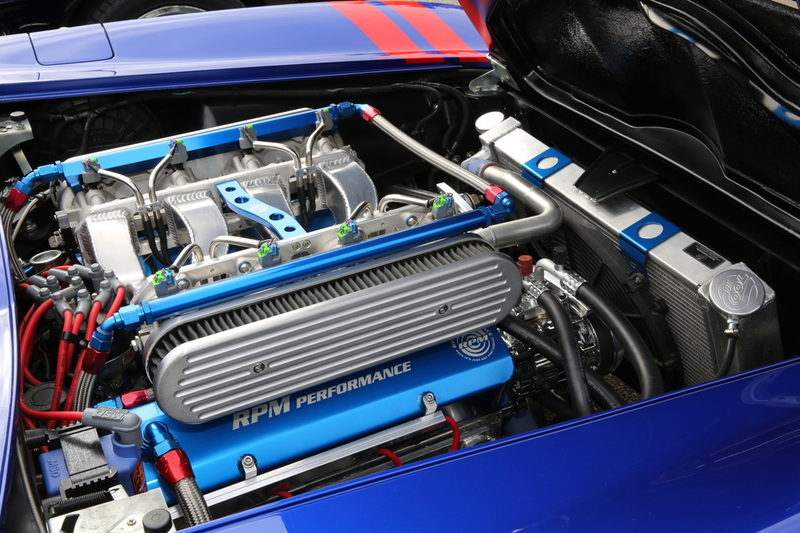 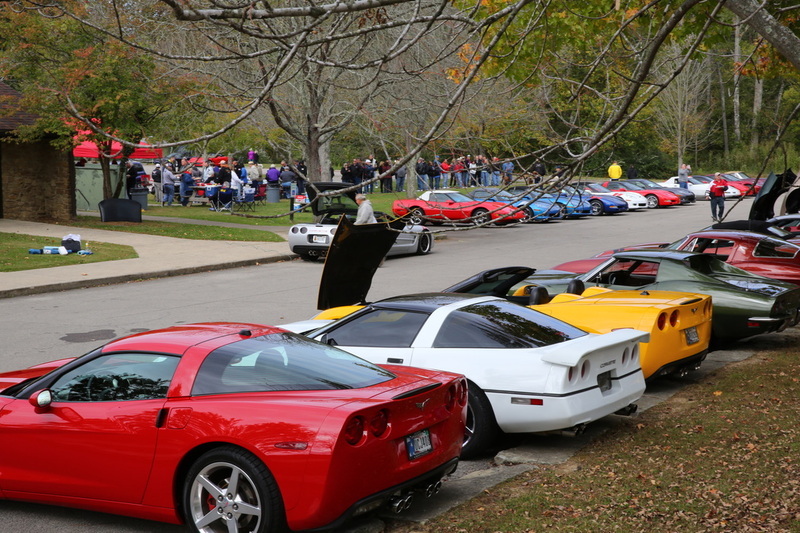 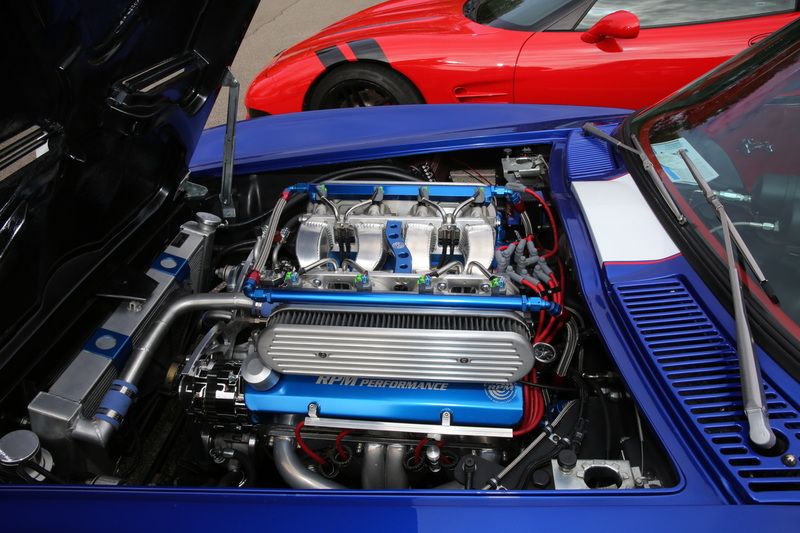 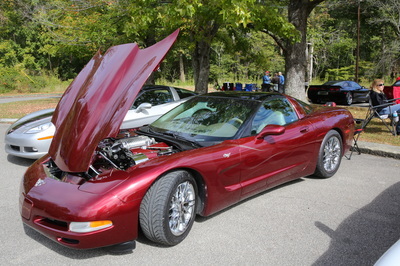 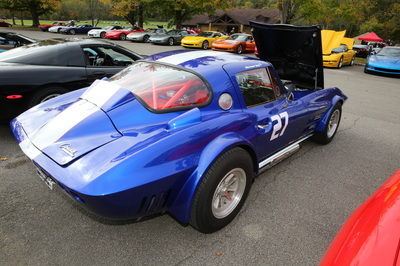 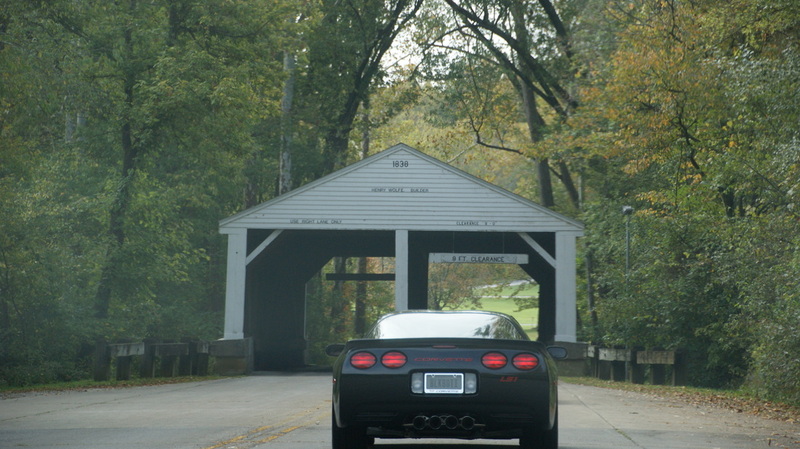 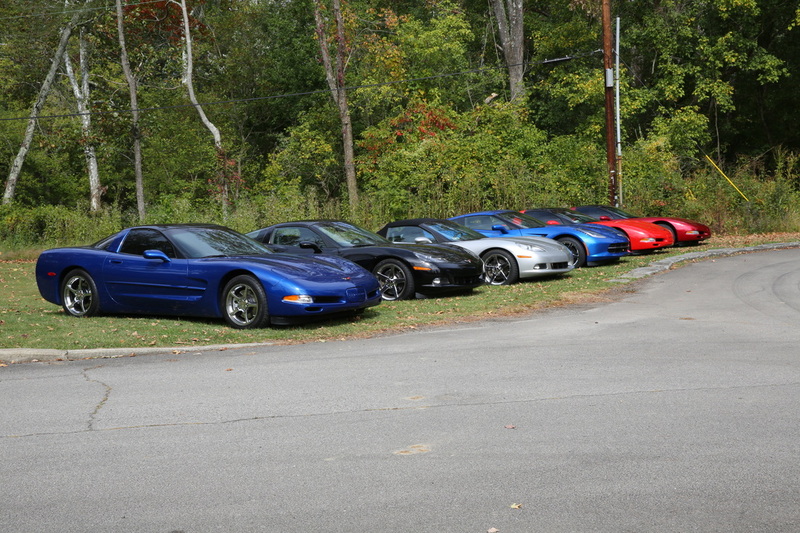 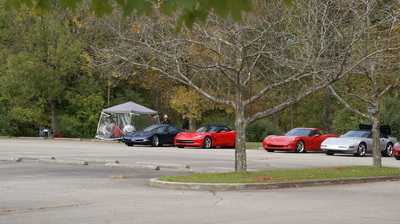 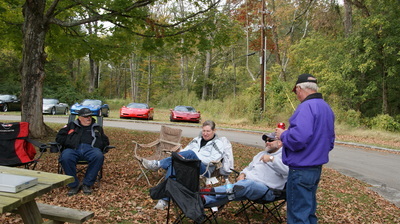 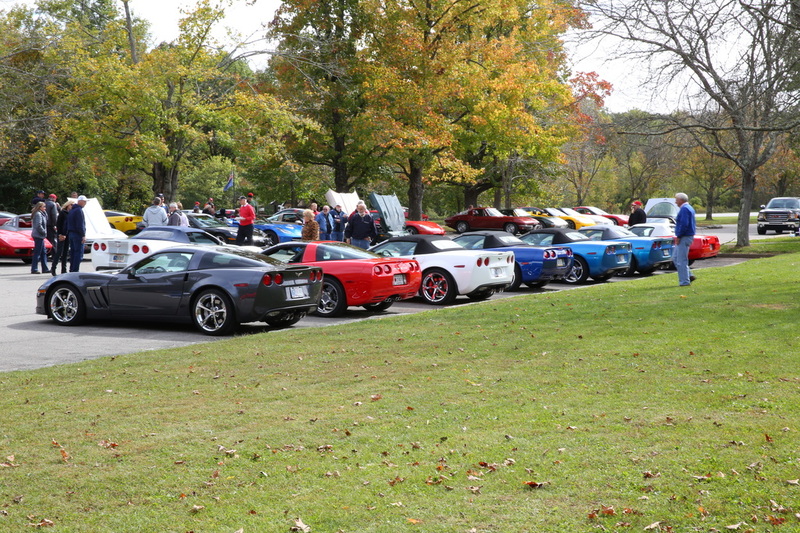 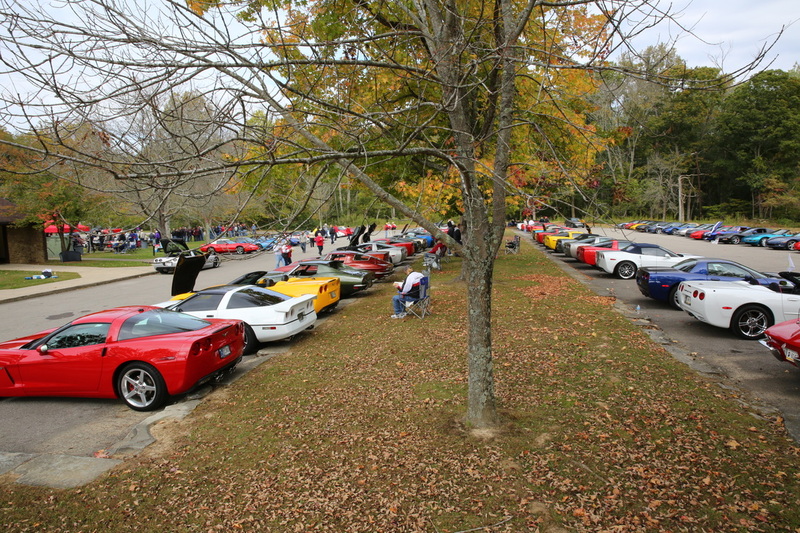 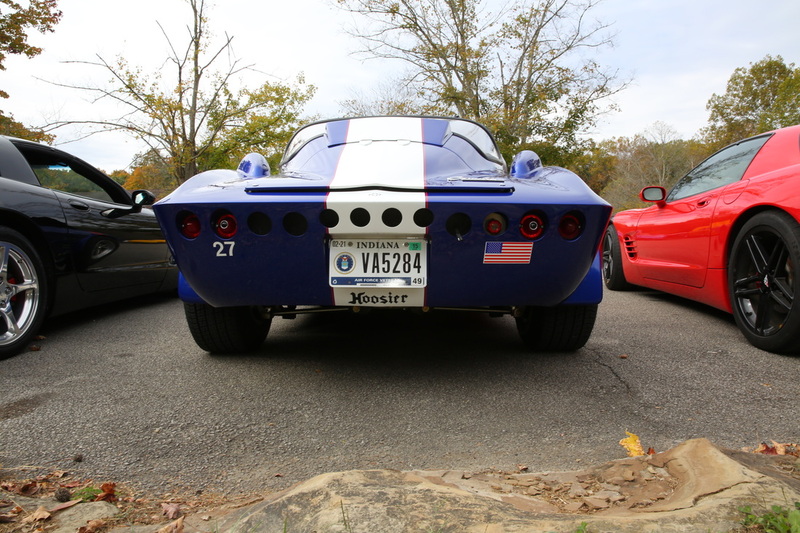 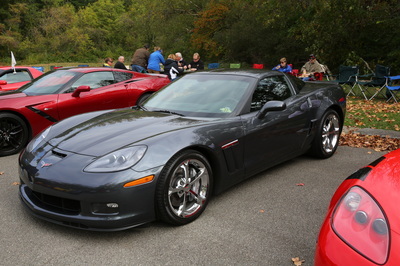 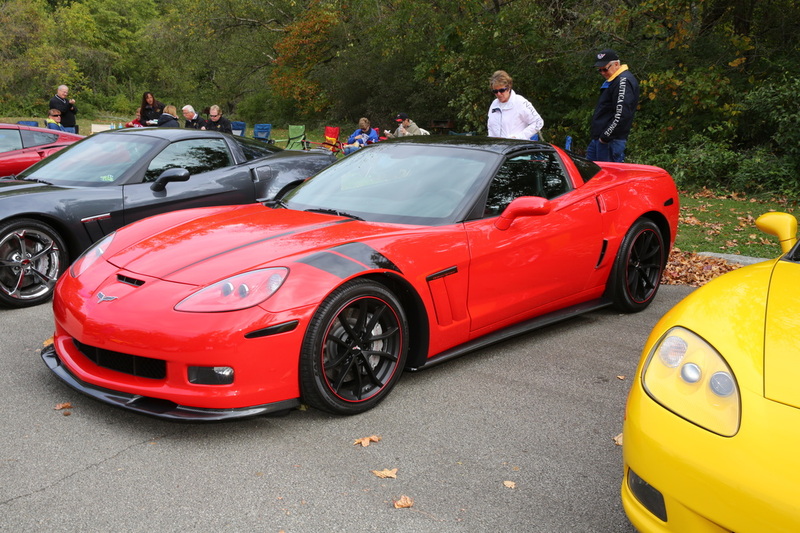 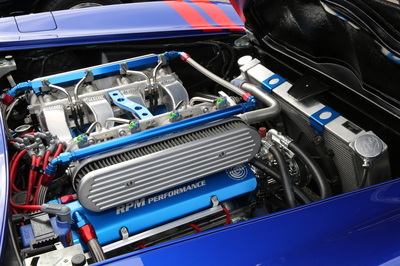 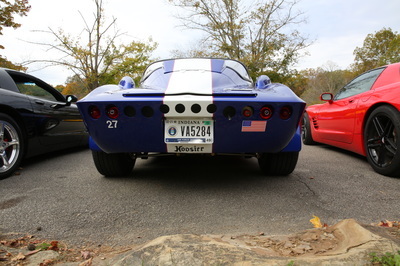 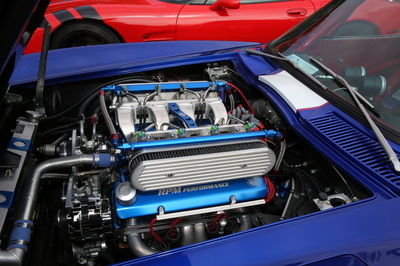 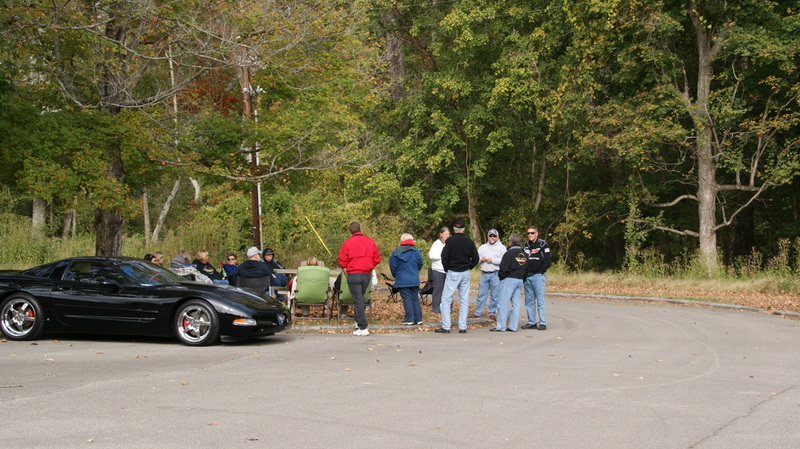 The Indiana Region event was again held at the Brown County State Park with the Original Circle City and Indianapolis Corvette Clubs hosting as in past years. 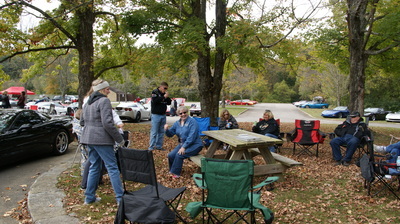 The weather was cool, as jackets were needed, but dry. The turn out was lower than past year's attendance with the parking lot only half full even with a reported 115 cars and over 200 attendees enjoying the event and nice fall weather. 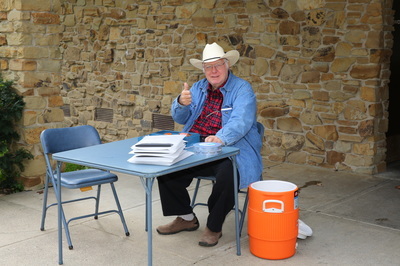 The food was the traditional hot dog, barbeque, baked beans, chips, desert and a drink which was free to NCCC members and the minimal cost of $5 to non NCCC members. 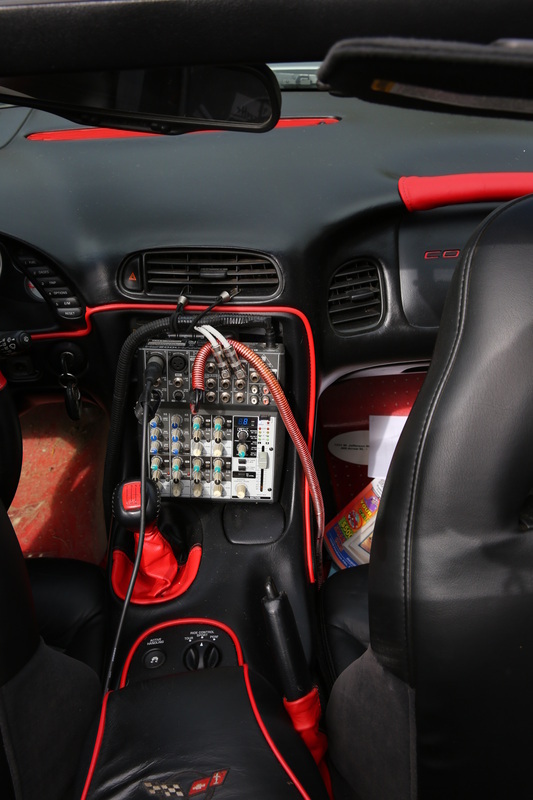 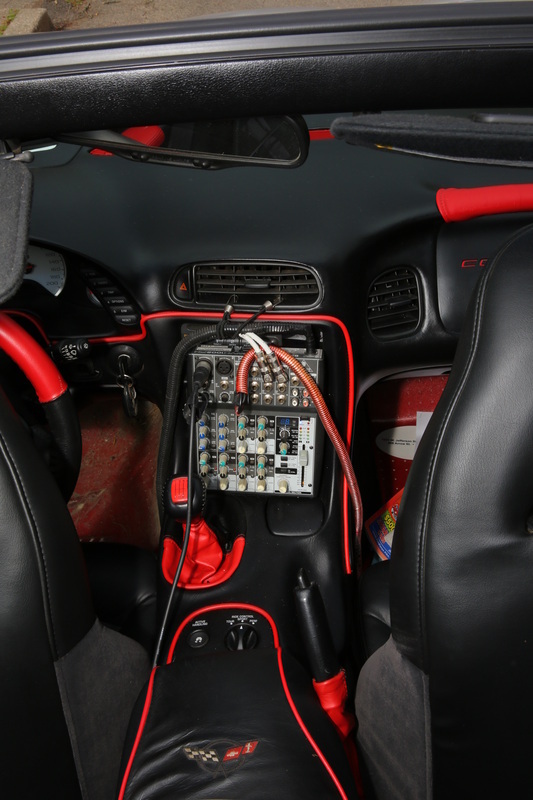 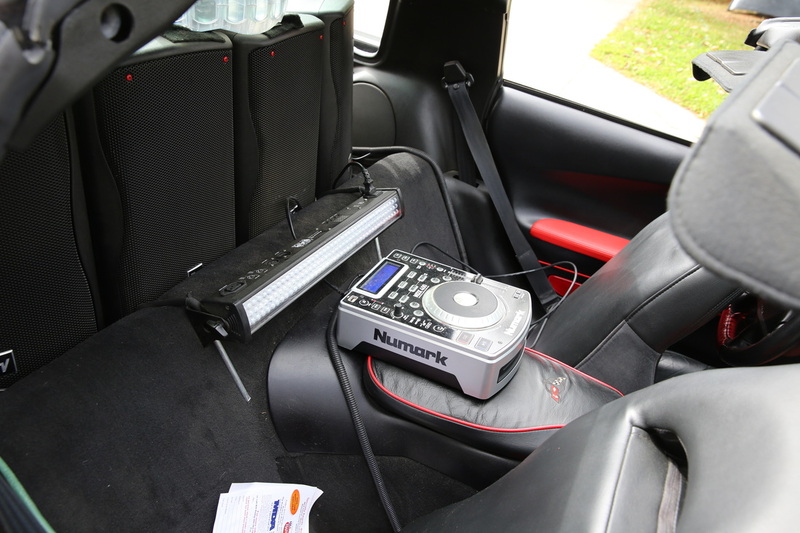 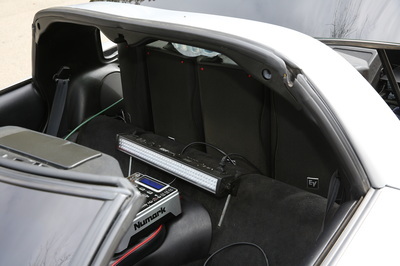 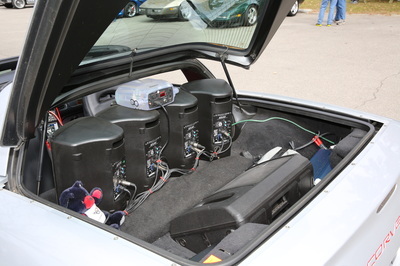 During the the festivities Richard from Delco Electronics Corvette Club provided music and sound, and several clubs even provided door prizes. 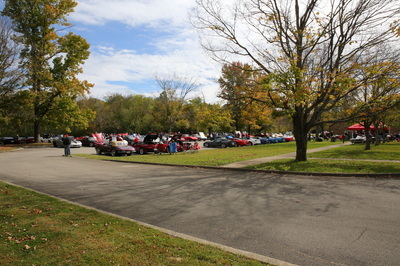 There was a non sanctioned rally from I65 that some clubs took part in, while most clubs just got to the park with their own routes. 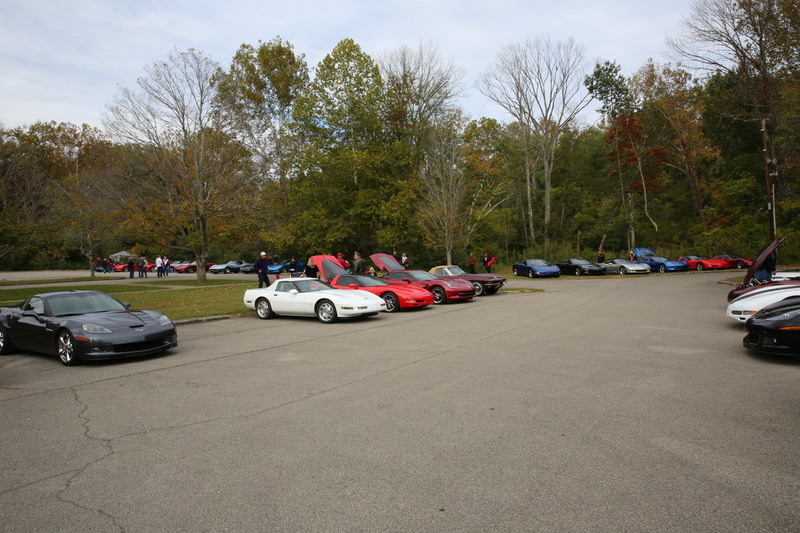 With one club coming from the Louisville area and another from Fort Wayne there were some miles traveled that day...As always it was a good day to see other club's members with their pride and joy Corvettes and have a general good time get together.